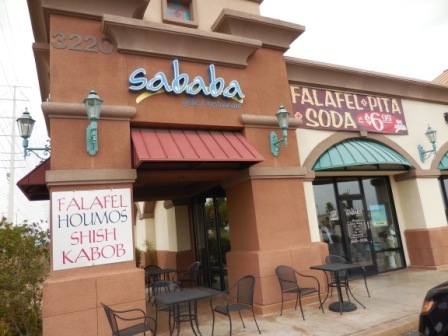 Continuing on in my series on kosher eating in Las Vegas, the next place we visited on our trip to Las Vegas last month was Sababa Grille & Restaurant. When we ate there, it was a new experience for us, as we had never eaten there before. 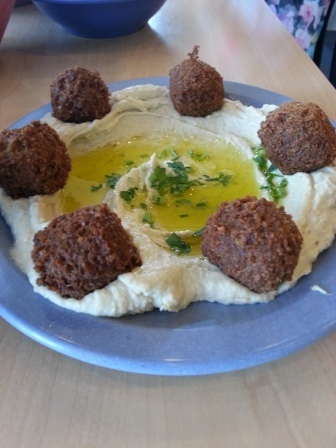 Sababa Grille is largely a falafel, hummus, and shawarma place, although it has some staples of American food, as well. It definitely comes off as fast food more so than a sit-down restaurant, but that can be a good thing. When we went, we enjoyed the service, which did a good job of working with us (kids and all) to provide us our food. Granted, I am sure that it helped that we went in the middle of the week in the middle of the afternoon, so – for most of our visit – we were the only customers at the time, but I am in no way complaining. I ordered a falafel and hummus plate for an appetizer and a pita sandwich with shawarma in it. Unfortunately, they do not offer laffa as a bread option – just pita. 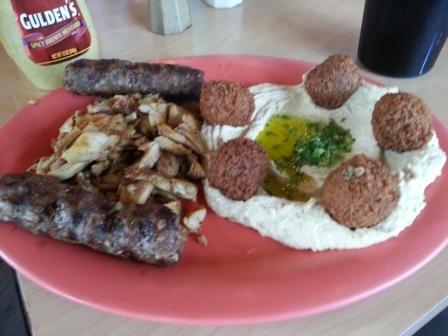 The falafel and hummus plate was okay, but the falafel was not as good as that of Jerusalem Grille and the hummus has olive oil on it (as opposed to tehinah, as Jerusalem Grille’s does). I was unimpressed. However, once I dipped the pita in it (as opposed to the falafel balls), it actually tasted quite nice. 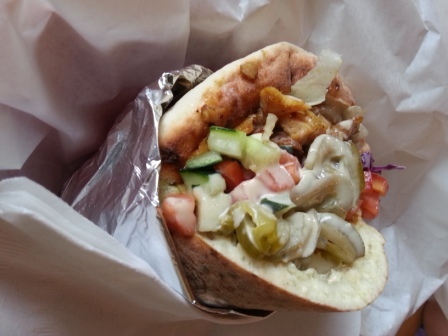 My pita shawarma sandwich was good – no complaints. For salads/toppings to put n the sandwich, it’s a modest selection (just a heads-up). My wife got a beef kabob along with some meat and humus and falafel, which were all fine. Overall, if you want a fast food-like experience accompanied with pita and shawarma, it can work. Although it is not the greatest for these options, it is still decent and can be a great stop for lunch.